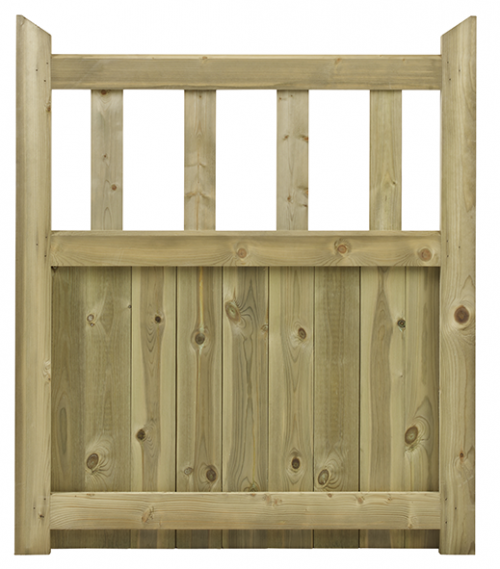 The Hampton is a classic garden gate mainly close boarded,with vertical pales adding height and allowing an open feel to the garden. 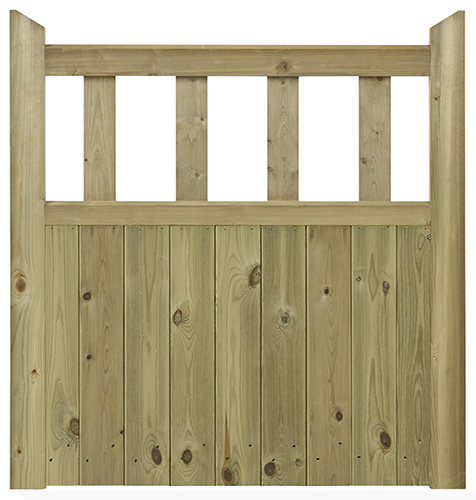 It also features chamfering along both the top and mid rails allowing the rain to run off. 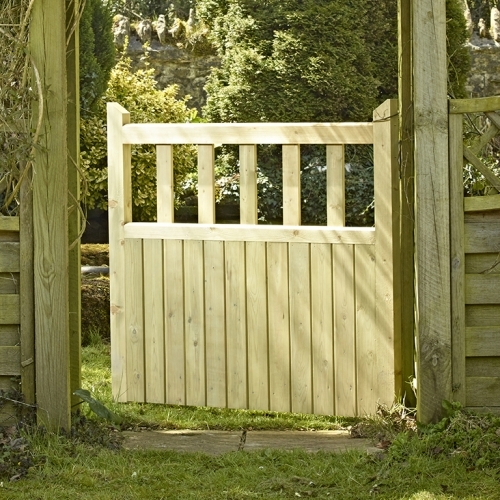 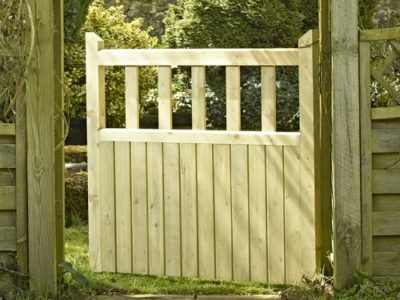 This good value gate is made from Scandinavian kiln dried softwood which is pressure treated for durability. 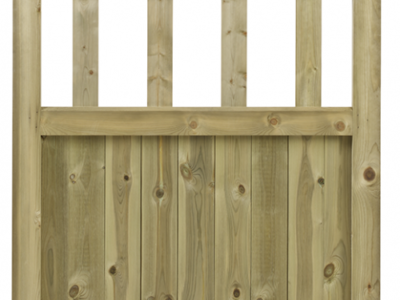 With a height of 3’ 6” (1.067m) the Hampton is offered in a range of widths from 3’ (0.915m) to 6’ (1.83m) all of which are held in stock.